Recently, Super Mario Run released an update for the game to allow players to squish golden goomba as well as an easy mode. You need to crush twenty total goomba in the various worlds in Super Mario Run to get your hands on a special "limited edition" golden goomba statue. It’s limited edition because the event runs to the end of February and there is more than one Golden Goomba statue available. However, there is even more good news on the horizon for the denizens of the Mushroom Kingdom in Super Mario Run. Nintendo is celebrating the launch of its newest mobile game, Fire Emblem Heroes, with a special coin gift for all Super Mario Run players. 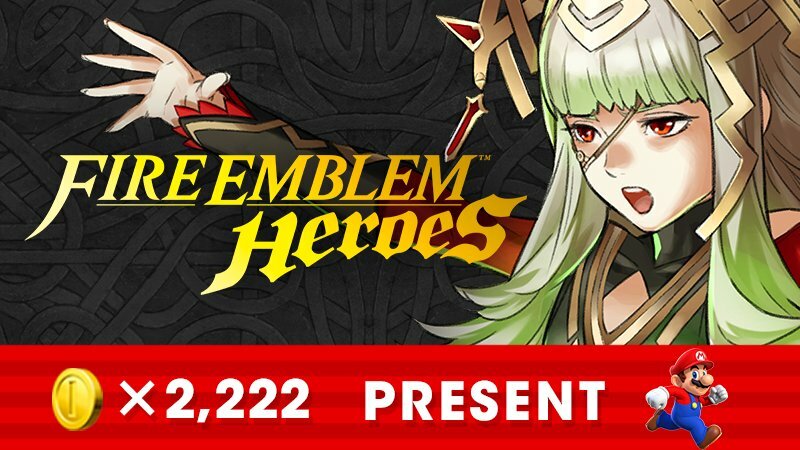 You’ll get your hands on 2,222 coins to celebrate the launch of Fire Emblem Heroes. However, the mood of the Nintendo Twitter page is going off on Nintendo for doing this with the game not available of Android devices yet. Getting free coins isn’t that big of a deal since coins are really easy to come by in Super Mario Run. What would have been better would have been a special Fire Emblem statue/building to use in Kingdom Builder. The gold goomba event did its job; it got me back into Super Mario Run. These mobile games hitting the market are starting to show that Nintendo might actually know what they’re doing when it comes to mobile games. It’s a small sample size thus far but so far, so good.